It would be impossible for one company to market the city of Hamburg with more than five million inhabitants, countless businesses, diverse leisure and cultural offers, internationally reputed educational institutions and numerous other assets. This task can only be accomplished with strong partners who are pulling together to make it work. Hamburg is Germany's second largest metropolitan region. 20 administrative districts and urban municipalities in the Hamburg Metropolitan Region are partners of the Hamburg Marketing GmbH. They are important strategic partners in successfully marketing the Hamburg Metropolitan Region, one of the strongest regions in Germany and Europe. The four federal states of Hamburg, Mecklenburg-Western Pomerania, Lower Saxony and Schleswig-Holstein are part of this metropolitan region, which covers a total of 28,500 square kilometres – a highly attractive economic area for businesses from Germany and abroad. Moreover, the Hamburg Metropolitan Region offers its guests numerous enticing tourism destinations and its residents a high quality of life. Hamburg.de is the city’s official online portal. The HafenCity Hamburg GmbH is an urban development management company, property owner and developer of infrastructure. The HafenCity Hamburg GmbH oversees all activities related to Hamburg’s largest inner-city development area, HafenCity Hamburg. 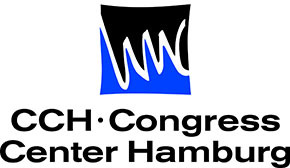 The Hamburg Messe und Congress GmbH is a full-service provider for services related to organising and conducting national and international trade fairs and congresses. Hamburg Airport is an innovative service provider that integrates the interests of local authorities and businesses. Port of Hamburg Marketing (HHM) was established in 1985 as an association of port industry stakeholders. In consultation with the Hamburg Port Authority, HHM integrates the individual strengths of its members, thereby advancing the competitive long-term position of Hamburg’s port.